For countless years now the top selling games have churned out expansion packs a couple of months after the games initial release. These packs tended to include additional missions, weapons, units and generally gave the game a bit of a facelift. However, we could soon be waving goodbye to the trusty expansion pack as companies lean towards digital distribution, feeding us “additional downloadable content”. 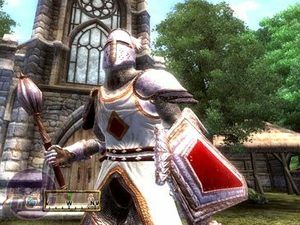 Bethesda is leading the “Additional Content” charge with its game, Elder Scrolls IV: Oblivion, as the proverbial guinea pig. So far the company has released seven pieces of downloadable content ranging from the fairly boring Horse Armour addition all the way through to the thoroughly worthwhile Wizard’s Tower. Whether you’re a 360 or PC Oblivoner you’ll have been able to download each of these add-ons as they’ve been rolled out over the past few months. Now, though, in an expansion pack that’s not an expansion pack, you can download all the previous additional content as well as one other mega piece of additional content – the Knights of the Nine retail pack is what we’re looking at today. 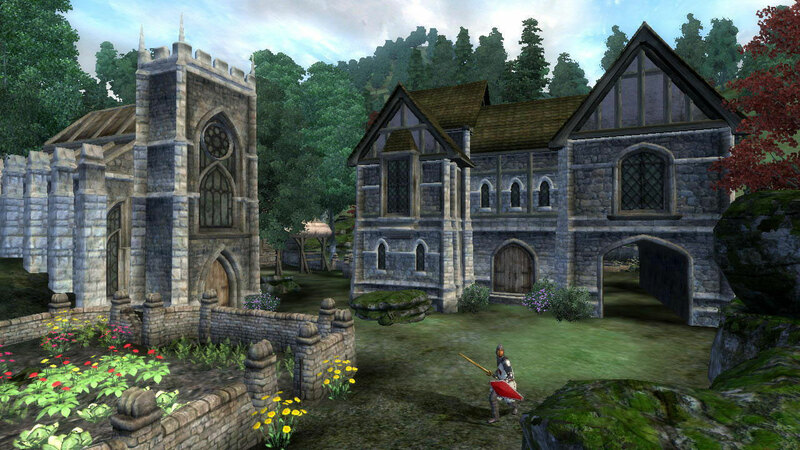 In this review we’ll take a look at all of the additional content and see whether this is worth spending your hard earned wedge on (it will cost you £14.99 from Play or alternatively visit the Oblivion website and pick and choose which bits of content you want). The main course in this meal is the all new Knights of the Nine quest. So is it any good? Well, for starters, this additional content is fully integrated into the game. When you install it (which you can do to any current game provided you have patched it) it doesn’t just flash up the quest in your ‘to-do’ list. Instead you need to go hunting for clues to find out what is going down. I don’t want to spoil it for anybody so if you don’t want any kind of information on what the quest involves you might want to turn over now! Okay, if you’ve stayed with me, allow me to explain. 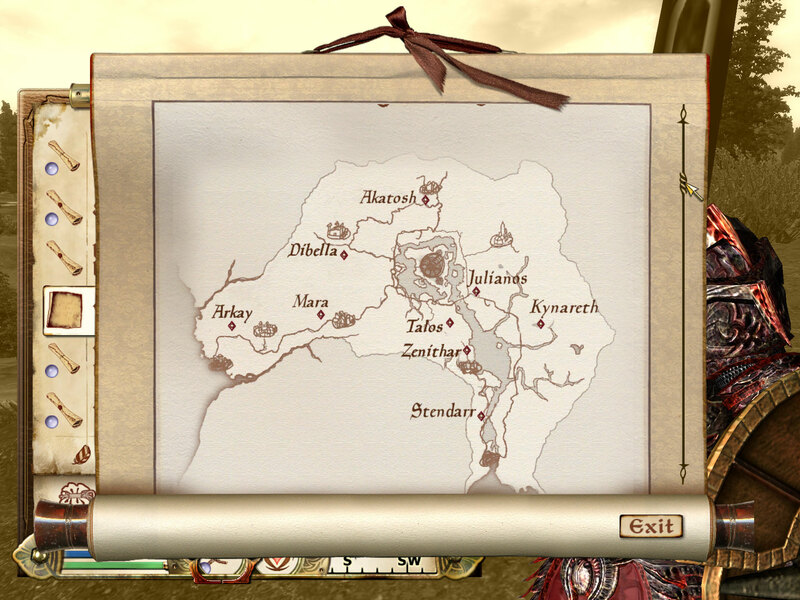 The Knights of the Nine quest involves you performing a whole series of subquests not too dissimilar to other subquests you might have done before, like completing the Thieves Guild missions. To start the mission you must head to Anvil, where the local chapel is in a bit of trouble. You speak to a chap there who sets you off on a series of quests. Apparently someone called Umrail the Unfeathered is causing mischief. 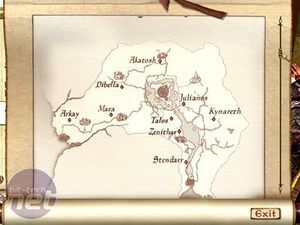 The quests then task you with making a pilgrimage across the lands of Cyrodiil where you will encounter new enemies, new characters with new voice acting and some new effects and beasties to kill. It's by no means a complete overhaul, Knights of the Nine stays very true to the flow of the game and could quite easily have been included in the original game. Following the Knights of the Nine to its ultimate conclusion was enjoyable although not as much as some of the extended quests I played through in the original game. Perhaps it is because then I was fully involved with the game and my character. Now, going back to it, I feel a little less immersed, a little more detached. All in all I still enjoyed it with the final showdown being suitably epic and the armour and weapons you collect through it being pretty cool. It's a necessary purchase for anyone who considers themselves a hardened Oblivion fan. 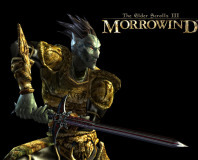 Musician Gillian Grassie covered the Morrowind theme tune to help her raise funds to record an album. 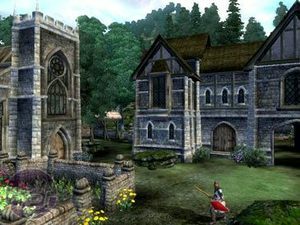 In a typical case of ‘Molyneux syndrome’, Lionhead's head honcho slags off Oblivion and the RPG genre, claiming Fable 2’s one-button combat system is the way forwards. 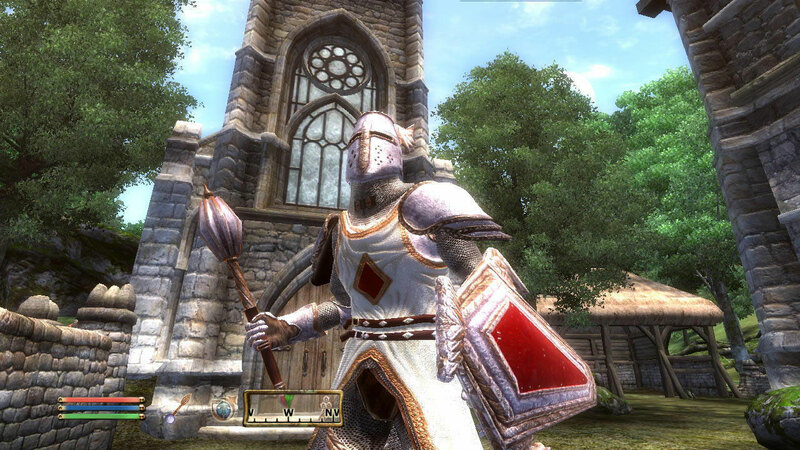 Bethesda's latest addition to the Elder Scrolls franchise went home from this year's Golden Joystick awards with three awards, including the top award - Ultimate Game of the Year.